Since Arthur was just 12 years old, he had a desire to become a dentist. He studied at Adelaide University, graduating in 1994 with a Bachelor of Dental Surgery. During school, he became fascinated by the surgical field and offers many such procedures in-house at East Adelaide Dental Studio, along with an array of other dental services. Arthur’s dental phobia led him to specialise in caring for people who have felt nervous or anxious about visiting the dentist. He understands what it’s like to dread getting the dental care you need or to want to leave the surgery at the thought of invasive options. Just as Arthur eventually found a dentist who could make him feel comfortable, he strives to alleviate his clients’ fears. Arthur continues his education regularly by taking courses on different dental subjects. He was nominated for and chosen as a Fellow of the Pierre Fauchard Academy. 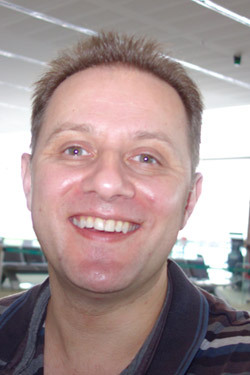 He has been a member and treasurer of the Australian Osseointegration Society and served as treasurer for the Australian Society of Computerised Dentistry. Outside of the practice, Arthur enjoys reading and going to the gym in his spare time. To schedule your appointment, contact our Glenside team today! We offer convenient same-day appointments.